Parents and caregivers of children living with ADHD know that life can be hard. Morning ‘routines’ need to be monitored (even though there is a chart!) to make sure that the child gets up, gets dresses, brushes their teeth, has breakfast (does not detour to pet the dog, play with legos, get on the computer, look under the bed for a toy) picks up their lunch and homework and remembers to take a jacket as they head to school. And of course this is all before 9am! the day. It is important to remember that this kiddo is not ‘misbehaving’! (ADHD) is a psychological disorder and the brain of a child/teen adult dealing with ADHD functions differently. 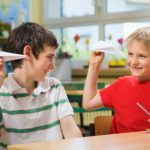 In this NEWS Medical Life Sciences article, the author, Hardik Patel, M.Pharm takes a look at some of the changes, how ADHD impacts learning, ‘overlapping disorders’ and effective interventions. 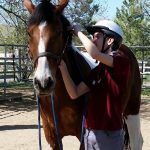 One of the recommend interventions, Cognitive Behavioral Therapy, could include the services we provide at Nevada Equine Assisted Therapy. Though work with horses we certainly focus on solutions and changing destructive patterns of behavior! 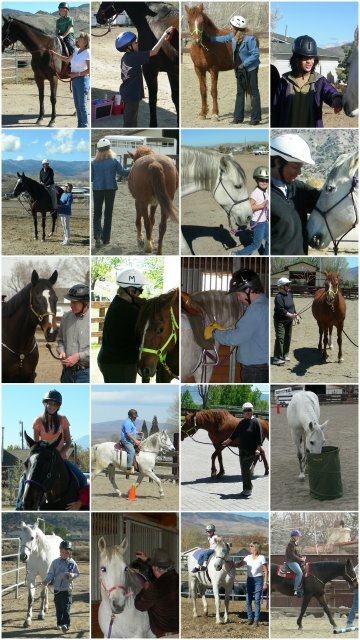 Clients learn and practice staying focused and on task while leading, grooming and preparing their horse to ride. They learn how impulsive behaviors can worry a horse and are encouraged to slow down, take a breath and be present and in the moment. 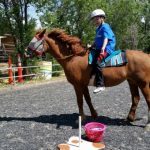 They engage in a variety of activities both on the ground and mounted, that help them develop problem solving skills and at times frustration tolerance! We work with children as young as four, teens and adults. If you know a child or teen who is struggling, give us a call. We can schedule a time for you to come visit the ranch. We will show you around, introduce our incredible herd, learn more about what you are dealing with and share how we may be able to help. This entry was posted in ADHD, Anxiety Disorders, Asperger's, Autism, Children's issues, Depression, Mental Health, OCD, PTSD, Teens. Bookmark the permalink.